Take a deep breath in and come join Ana Davis for Pilates. 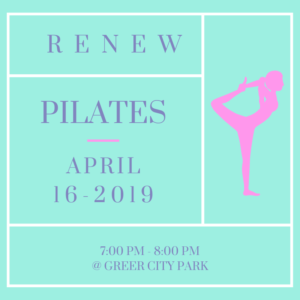 This class will be held on April 16th from 7:00 PM – 7:45 PM at Greer City Park. 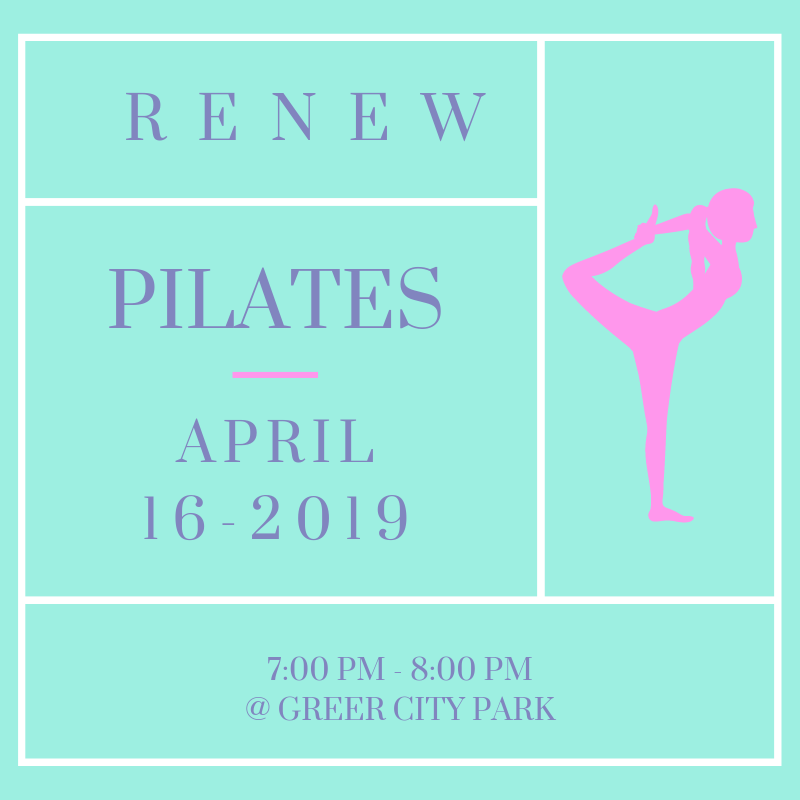 RENEW Neighbors are welcome to borrow our Yoga/Pilates mats for this class.